Large, swirling paisley are given a rustic and chic update in our Vintage Paisley linen. 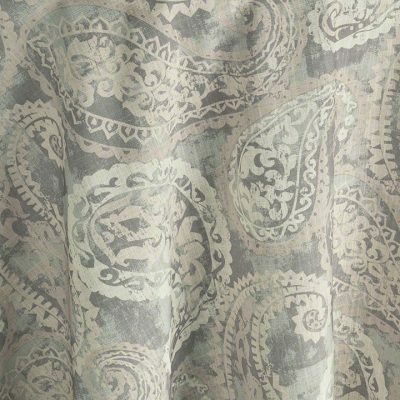 Various shades of blue-grays and ivory-taupes deliver depth and contrast to the background while ivory tones create the stylish paisley overlay on the subtle texture of the linen. The Vow Collection features traditional colors with a modern twist, providing the perfect balance of style and elegance for that special day. 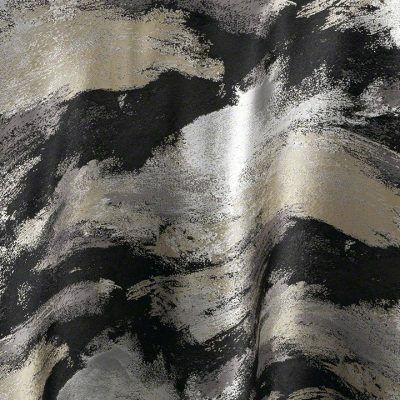 Shimmering gold and silver accents bring out a sophisticated gleam of the deep black hue of Black Allure linen. 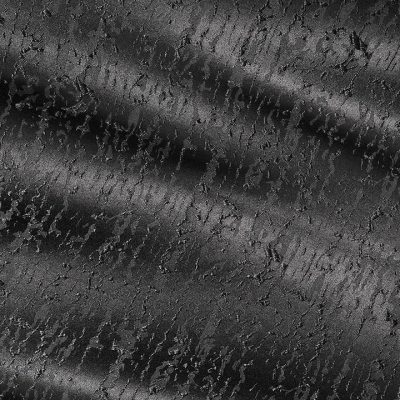 The metallic shimmer perfectly balances with the rich black, creating drama and appeal. 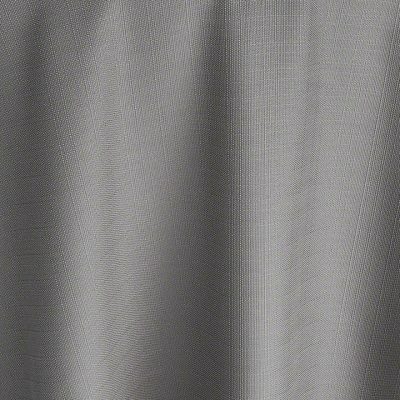 The Alloy Collection linen has metallic shades woven into a soft, shimmering fabric that drapes softly and elegantly, for a gorgeous, sumptuous base for a special occasion table. Texture is still the most sought out item in tablecloth linen rental. Bengaline is that tablecloth with the subtle ribbed texture, with just enough sheen to not fall flat. 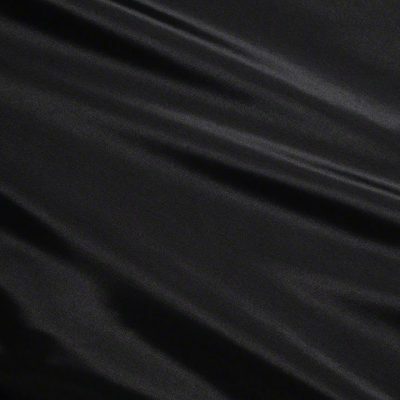 Ethereal and ebony, Black is the epitome of elegance, and the ultimate backdrop for any celebration. Feel the breeze coming off of the ocean and the smell of salt in the air. 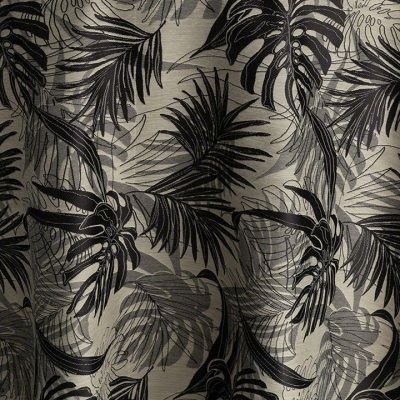 All will marvel at the feeling of the islands they will get with the timeless print of a plethora of palm fronds that come together for our Calypso design. Whether one is remembering the fantastic island music of the central parts of the world, or the mythological nymph, your guests will have plenty to talk about. 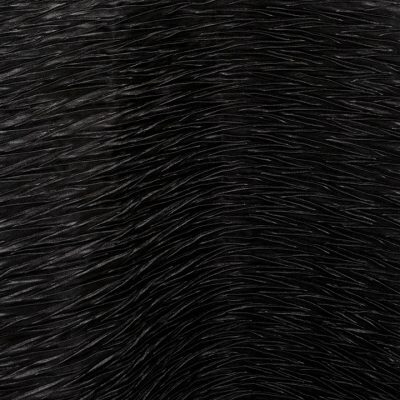 Available in five harmonious shades, our Black Calypso is the perfect partnering of the deep ink hue woven with a stone tan. 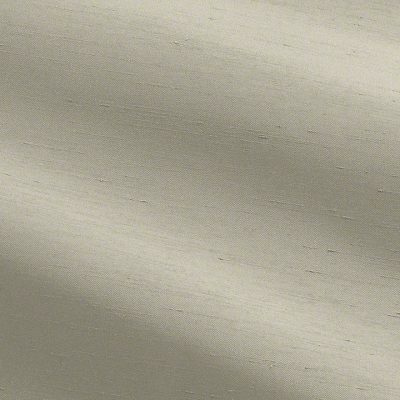 Find the perfect match within your visions, since you will be hard pressed to find a color that will not look superb within this island dream. Photographed over White Classic ? A Timeless Beauty. Elegance and sophistication that never goes out of style, our Classic Hemstitch has traditional delicate stitching within this linen/cotton textile feel.? A charming reminder of the textile heirlooms of our family through history, your guests will feel at home at your next time-honored celebration. 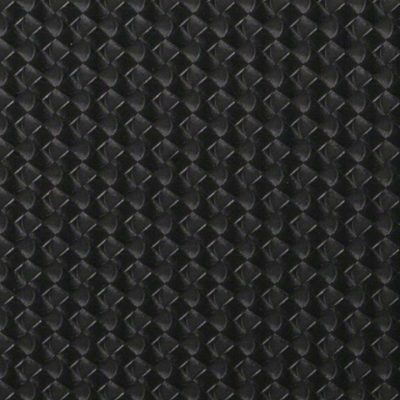 Available in a myriad of colors to heighten the design esthetic of any and all events, our Black Classic Hemstitch has a 1 1/2″ border and is a deep, dark, and mysterious but will be the perfect complement for any other hue.? 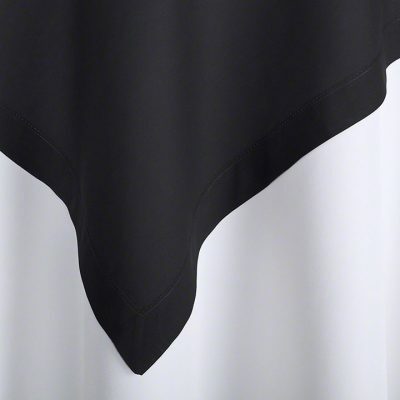 20″ X 108″, with a 2″ hem and straight ends ? ?? ? ?? Also Available in Table Cuffs ? Our Compass line is a geometric marvel, which is reminiscent of the center section of the tried and true navigational instrument that guides one when lost.?? So when you are searching for a new and fun item for your next event, you should find your way to this faux leather offering, which is available in myriad colors, and will aid you in creating your next event.? Available in Table Runners & Table Cuffs, our Black Compass will partner with any color on your map, and your guests will definitely enjoy the adventure. Go Bold with our Extreme Crush table linen. Texture and pattern fabricated with a skill, and produces a look that will have all your guests amazed and wanting to feel the luxury. Available in 13 amazing hues, our black will add a perfect foundation for your next celebration. 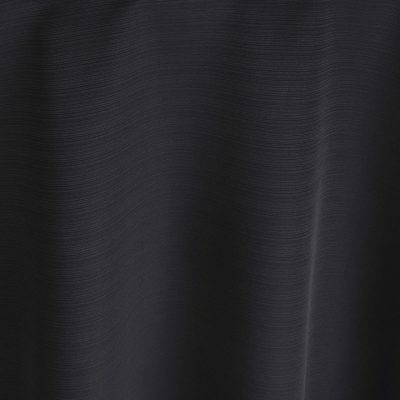 Set the mood for any event with this Black Faille table linen, which effortlessly pairs with table runners and many of our other linen collections. Use it as the foundation for event tables of all types, whether you?re planning an extravagant wedding or a corporate gala. 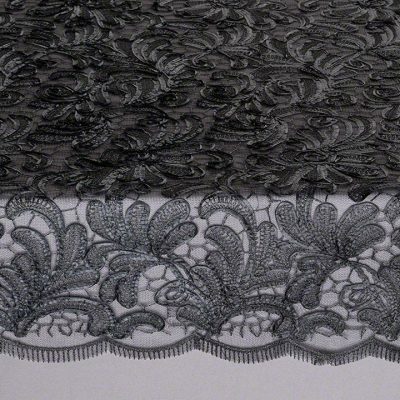 Faille fabrics have been popular in home decor and fashion for many years, and our Faille collection sets a new industry standard to maximize elegance and bring rich texture to any special occasion.